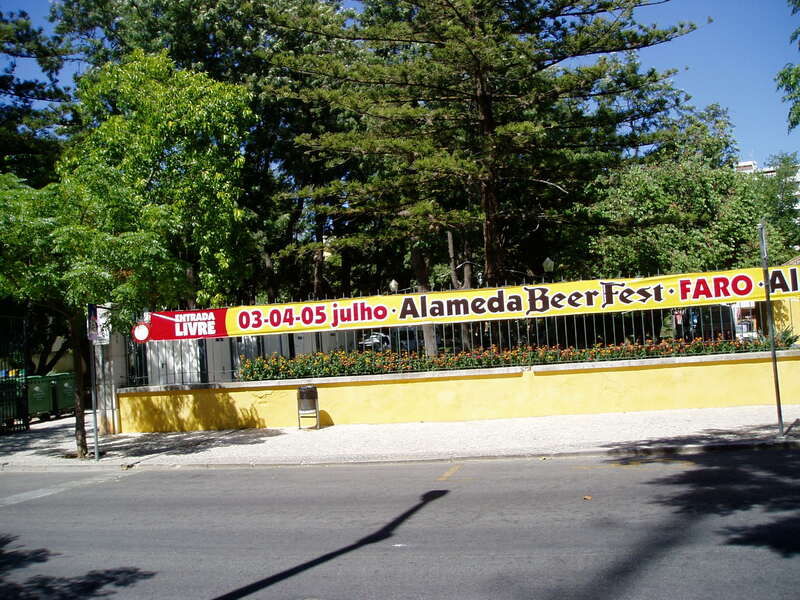 I had only been in the Algarve for a week, when I found out about Faro’s first beer festival. It was during the weekend of Friday 3rd July till 0200hrs, Monday 6th July with the temperature in the high 30s. It was opposite the police station and entry was free. It was €2.50 for a festival glass (copo), and beer and food was purchased by vouchers. They had a number of kiosk, where money could be exchanged for vouchers. 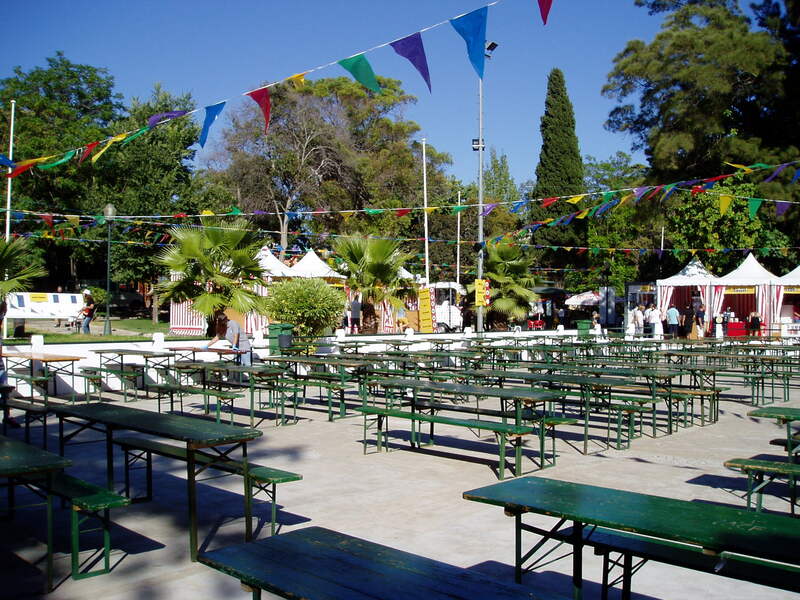 There were individual stalls for the different artisan breweries and food outlets, with plenty of space to sit down. On the first day, I tried a pork dish and like festival in the UK, it was short on vegetables. 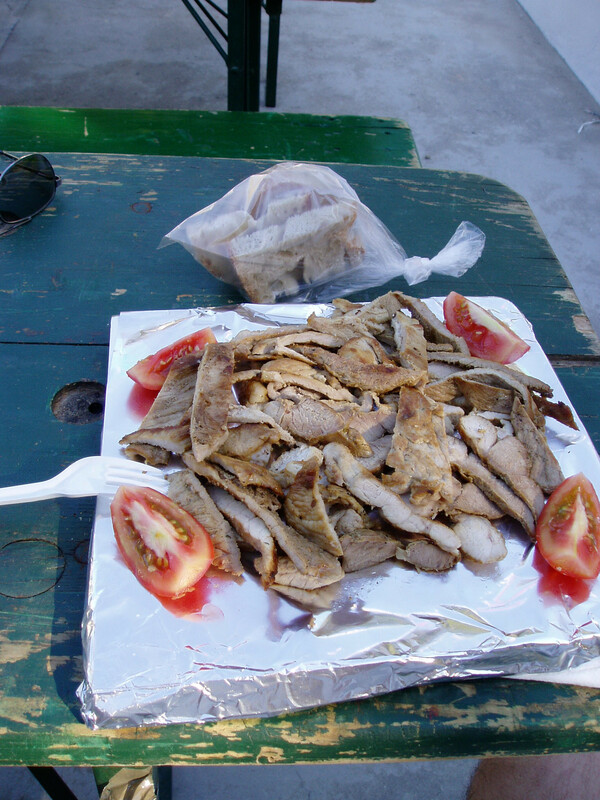 But it could be described as a square meal, 250mm x 250mm (10 sq ins), bread was included. Sovina, Cabbeer (Spanish), Moura, Octava Colina, Praxis, Rolls Beer, Ballut, La Cibeles, Rapada, Maldita, Deck Beer Lab, Post Scriptum, Letra, Mammooth (Spanish), Amphora, Zézé Blond, Marafada, Seleccáo 1927, Boheme and Vadia. Unfortunately, the weekist beer was 4.8% with most in the 7 and 8%. They were especially keen on stouts and porters, with some only selling the dark beers. Because of the heat, I stayed with the IPAs and wheat beers. The Spanish Mammooth’s wheat beer, was ‘interesting’, a very orange colour. One brewery, Deck Beer Lab, had a badge a bit like Brew Dog with Bath Ale’s hare in it. I was informed, it was an adaption of their restraunts sign, but instead of a pig, they have a rabbit. They also mentioned, the restraunt had being a around a lot longer than Brew Dog. Also available in the park was a gym and puddings for people to really comfortable in. Though I would imagine, most CAMRA members would not be able to get to their feet again. There were also scenes of mothers openly breast-feeding the children, which might have brought about an early demise for some CAMRA members. Musical entertainment and cookery lesson went on throughout the day. 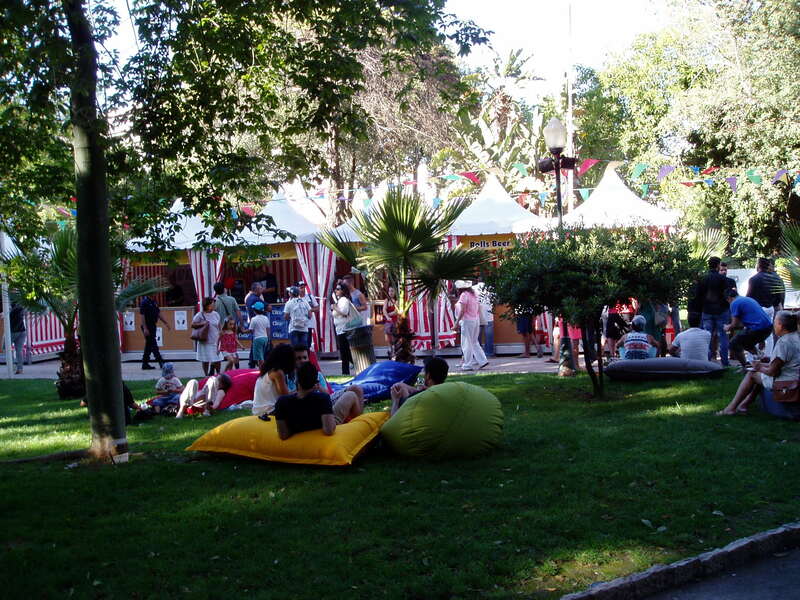 It was very much a carnival atmosphere, with families very much in evidence.